The main thing that might stop buyers from purchasing an EV is practicality. Where do I find a charging station? Will my battery run out? How do I calculate my monthly spending? – questions heard on a daily basis by EV sellers. Electrical cars are much more expensive than regular gas-fueled ones. In fact, Nissan Leaf (a trendy EV) is almost $47 000 and Nissan Micra (his cousin – the same size, only petrol-fueled) is $23 000. Evidently, EV prices can raise a few eyebrows amongst car buyers and raise the question “is buying an EV worth it”. To make the prices easier to swallow, some countries, states, and provinces offer price reductions or tax-incomes for purchasing an EV. Norway even plans to completely get rid of petrol-fueled cars by 2025 with giving rebates up to $11 600. Some countries offer discounts for purchasing personal or condominium charging stations as well. However, the main reason why EV’s are a good investment isn’t due to price & rebates! The reasons why you should invest in purchasing one (besides saving the environment) is because of significantly lower fuel cost and need of maintenance/repair. The prices of gasoline and electricity vary from country to country. However, all countries have one thing in common – gas prices go up while electricity goes down. EV drivers usually charge their cars at home and occasionally use public chargers (which are usually free) while traveling on large distances. Add a solar panel in the mix and you get to drive your car for zero dollars. Additionally, the cost of gas is much higher than the cost of electricity. In fact, people save to about $3500 annually with driving EV. 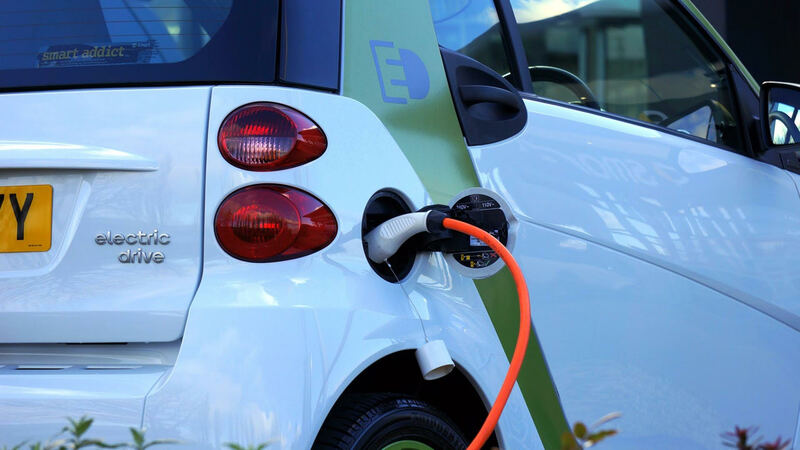 The only disadvantage of electrical fuel and charging is impracticality. You probably have to pump your car with electricity for 45 minutes every 3 hours of continuous driving. If you are a person that doesn’t travel long distances much, EV is surely for you. But if you are, try to locate charging stations on your daily route before you start spinning those wheels. All of us know the hassle of maintaining a gas-fueled car: changing oil, maintaining fluids, tune-ups, repairing damaged parts, etc. On the other hand, electric cars require little to none annual maintenance. Unlike gas-fueled, these vehicles have only one moving part – the motor. Lots of EV critics mention complete battery malfunction and drainage as a disadvantage of EV. But, most batteries and EV motors come with 8-10 year warranties. And the only fluid you have to insert in them is the one for cleaning your windows. Let us not forget the main purpose of electrical vehicles – maintaining a balanced atmosphere and improving the health of our environment. So before you decide whether to purchase a regular gas-car or an electrical one, think of the impact you want to have on our planet. Some people love a good old traditional car, but that doesn’t justify their actions like turning a blind eye to an imminent threat – the impact of harmful gas usage. Conclusion: If you can afford it, buy an electric car. Be the change you want to see in the world! As we mentioned before, many countries across the entire globe offer incentives for purchasing an electric vehicle or charger. Besides cash payments (in the USA to $7500), EV drivers get access to other benefits such as free charging outlets, free parking spots, exclusion of road tax, reduction of automobile tax, etc. In the long run, these incentives make driving an EV much more worth it than driving a regular gas-fuel. • British Columbia – For purchasing an EV, they offer $5000 rebates and for purchasing hybrids – $2500. And for purchasing one or more Level 2 condominium charging stations for residential buildings with 3 or more units, British Columbia offers to reduce the price to 75%. • Quebec – With the help of Drive Electric Program, Quebec offers an $8000 rebate if you purchase or lease a new EV. This rebate is also applicable to municipalities and organizations. They also give out cash sums to $350 for purchasing and $250 for installing a level 2 chargers. • Cities who offer financial assistance for buying EV chargers are Sherbrooke, Joilette, Granby, and Prevost. Check with your city or province if they give out certain benefits for going EV.